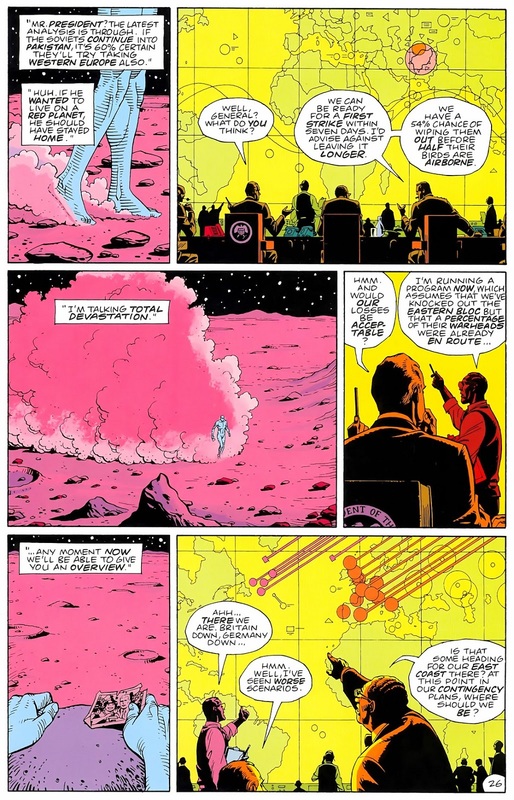 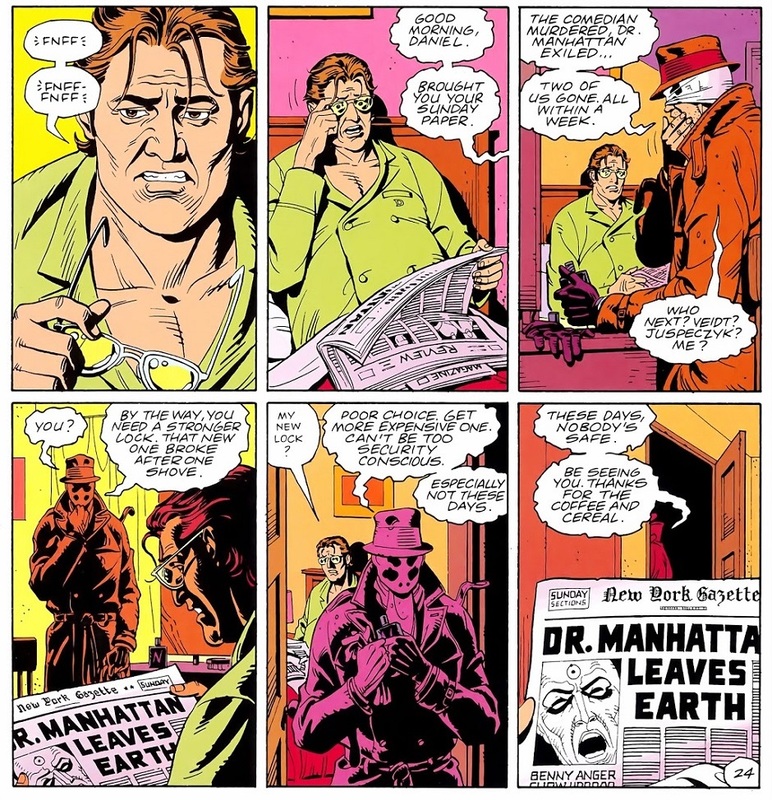 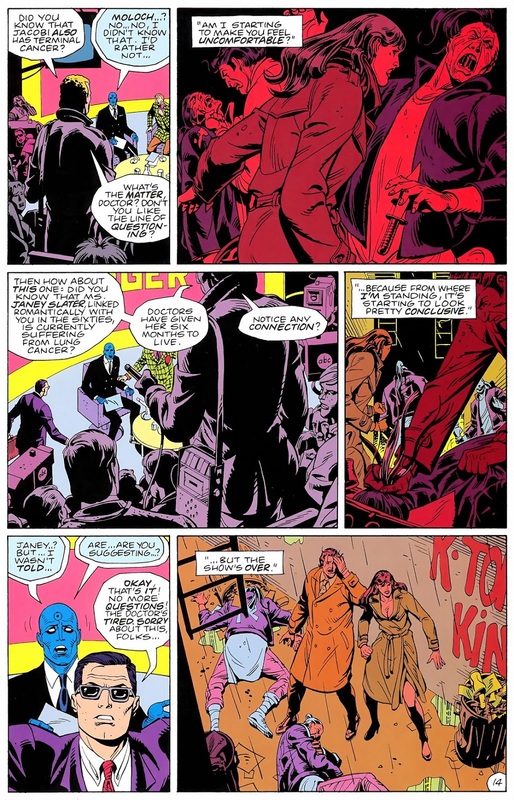 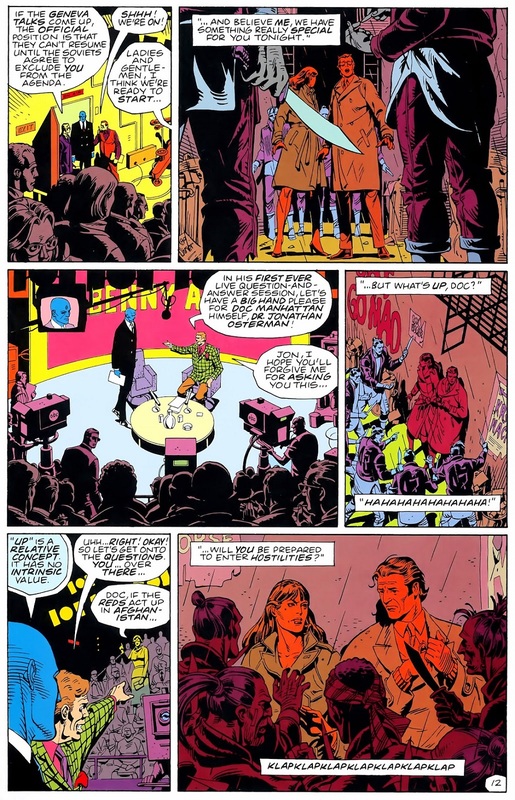 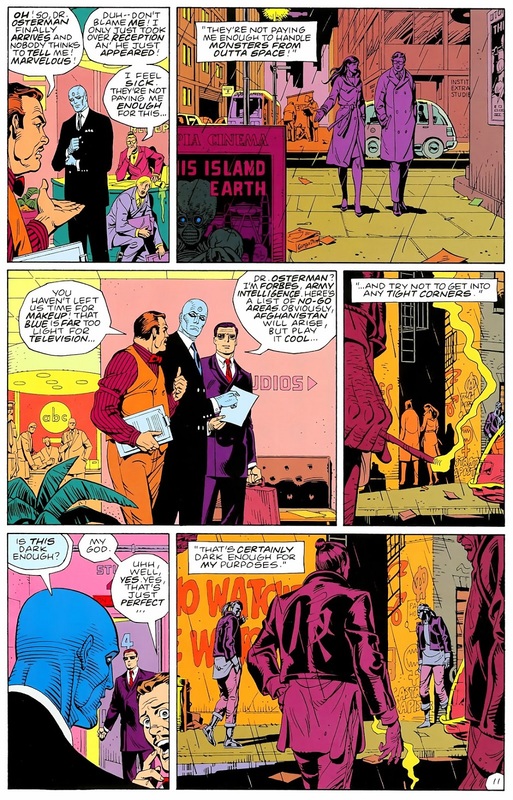 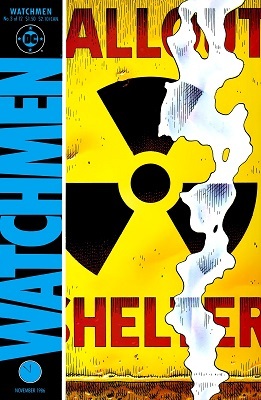 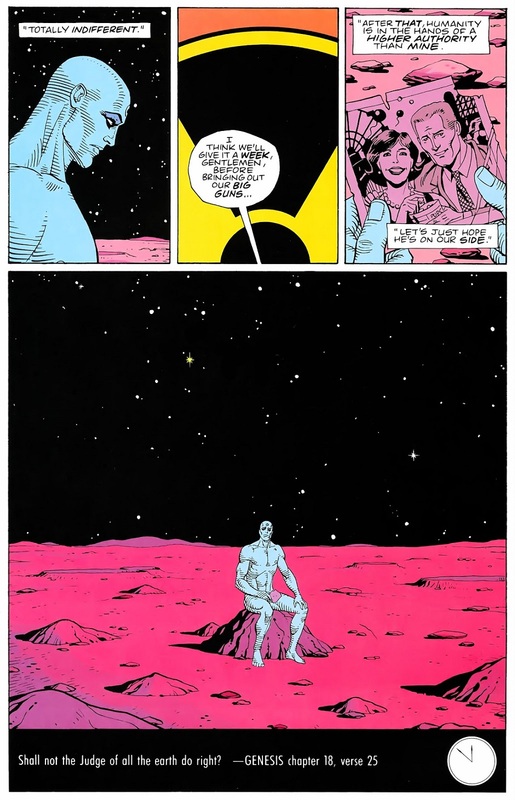 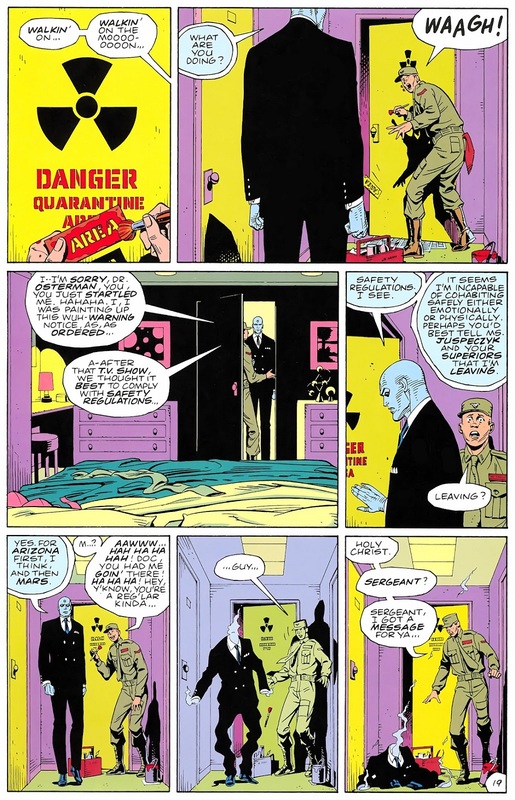 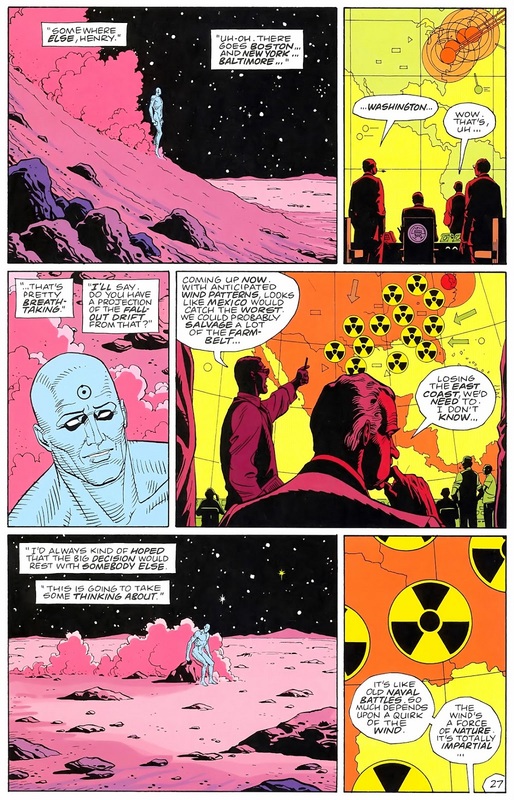 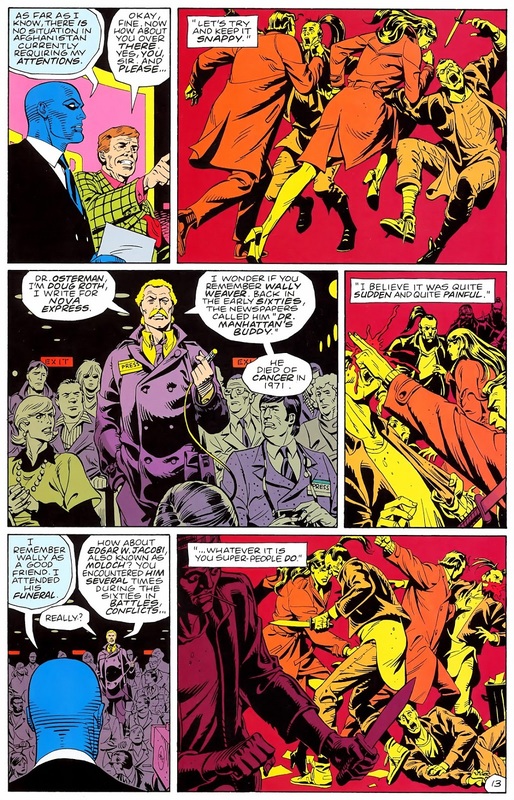 I think it was Dave Gibbons who said that it was during their work on this third issue that he and Moore first began to see the full potential of Watchmen. 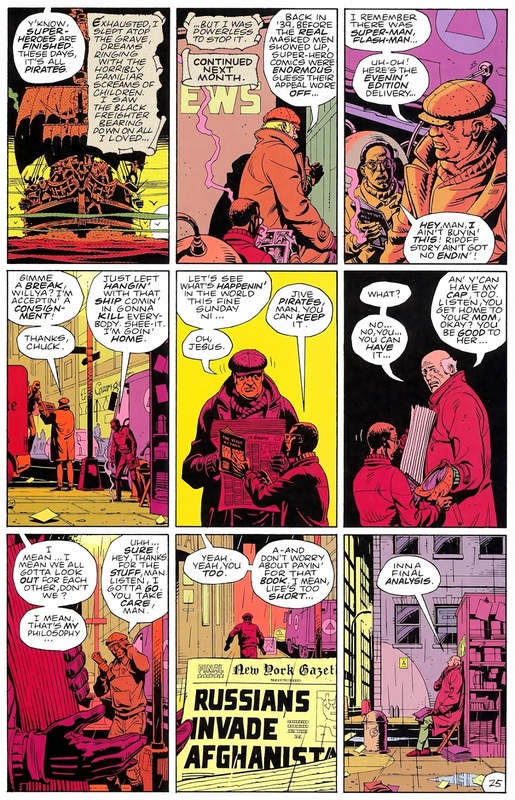 He pointed specifically to the introduction of the Black Freighter story-within-a-story, and how that made it possible for both narratives to comment on each other. 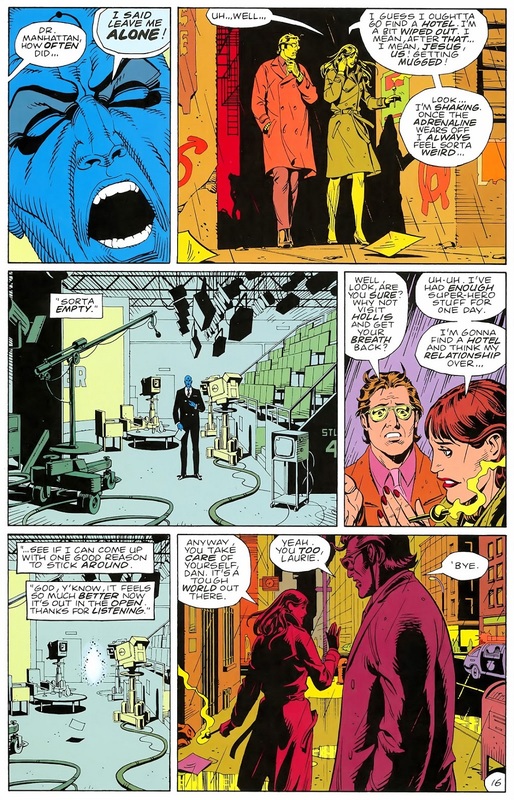 If there's anything Moore knows, it's how to build tension. 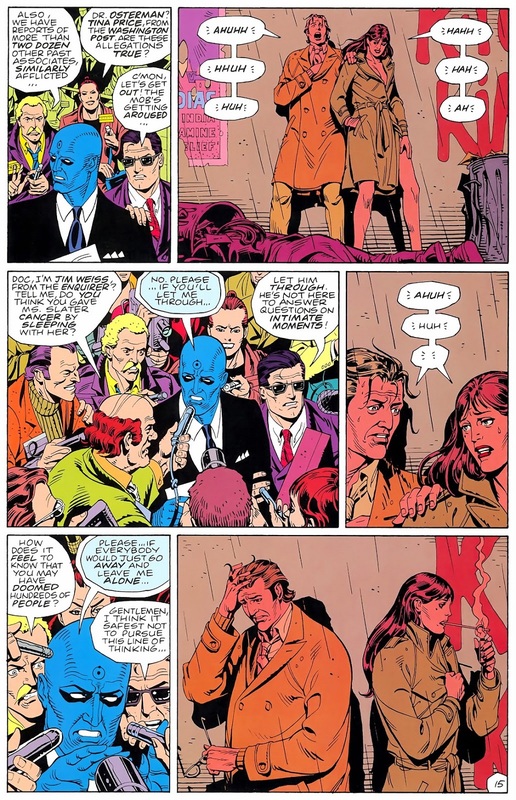 I still remember reading that sequence above, slightly haunted by the idea that Jon had completely vaporised everyone else in the room.